Many gardeners time their planting dates around tables and charts that are based on “plant hardiness zones”. 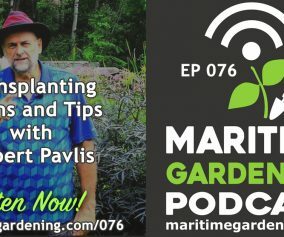 In this episode we discuss how they are determined, how informative they are for planning a garden, and some strategies for working around the limitations that your zone might impose on plant variety options. 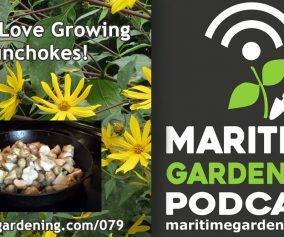 What Determines a Hardiness Zone? Plant hardiness zones in Canada are determined by a variety of factors, including the average minimum temperature, the average frost free period, the annual rainfall, the average maximum temperature, the average snow depth, and maximum wind gust speed (click her for more details). In essence, the zones provide a rough guideline for what can be grown in a certain geographic region. The perennials that you choose for your garden, whether they are herbs, fruits, vegetables, berry bushes, or trees, must be hardy to the hardiness zone where you are located. All things being equal, if they cannot take you winter, they will not survive more than a season. Of course there are always exceptions to the rule, and your particular microclimate may be warmer or colder than what the zone map suggests. Despite the factors that seem to be employed in the model that calculates and determines the growing zones, they don’t seem to account for intensity of heat. For instance according to Natural Resources Canada, Halifax Nova Scotia and Toronto Ontario are the same (zone 6a), but I have experienced the difference first hand, and Toronto is intensely hot relative to Nova Scotia. Indeed, as I write these notes, It is 8° C, in Toronto, and will be consistently above 0° C all week day and night; whereas in Nova Scotia, it is -1° C today, -2° C tonight, and will be only slightly warmer during the week, but with overnight lows that are as low as -5° C. Suffice it to say, from a gardening point of view, spring has arrived in Toronto, but it is still winter in Nova Scotia, despite the fact that April is only a couple days away. Growing zones also do not account for unique microclimates. A perfect example is my own garden, which is in zone 6a, but consistently seems to behave like a zone 5a or 5b garden, depending on conditions unique to a given growing season. Last year for instance, I was planting carrots and parsnips a week from today (1st week of April), whereas given the recent weather, I sincerely doubt I will even be able to work my soil for at least another two or three weeks. In addition to that, it is doubtful that the soil temperature will be warm enough for most things to germinate. I contrast this with the garden of a friend who lives an hour’s drive away, on a south facing slope in a valley – who informed me this past weekend that her rhubarbs have begun to grow. Mine, of course, are still ABSOLUTELY dormant. In any case, the only way to determine if your microclimate is unique in some way is to be observant and to compare notes with other gardeners. Once you have made this determination, you can set your expectations accordingly, and use various techniques to work around the limitations of your growing zone. Cold-frames, heavy mulches, and heat absorbers (large dark rocks, foundations painted black, etc.) 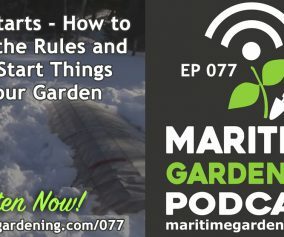 are the simplest work-arounds for a growing zone that will not allow the varieties that you want to grow. 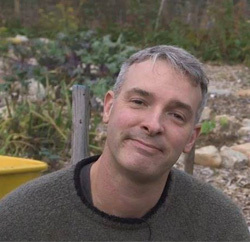 For instance, I have perennial rosemary in my herb garden (hardy to zone 8) that has survived 2 winters thus far – and all I do is throw a bale of hay on it each year in November (fingers crossed for this year). Play around in your garden and see what is possible. 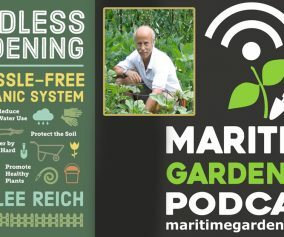 Plant hardiness zones are useful to gardeners for a number of reasons, but they don’t tell the whole story, and they are not always precise for certain geographic areas – especially if your garden is planted in a unique microclimate. Despite the limitations that they put on your gardening plans, there are work-arounds. Just be aware that while you may be able to cheat your way a zone or two warmer, there’s only so much you can do – so I would advise against those banana trees and coconut trees. This season, have fun bending the rules, but accept that there are limitations to what you can do. 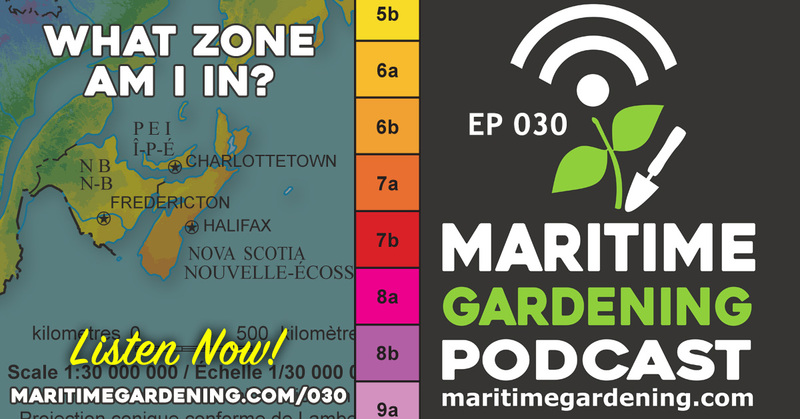 » General Gardening, Podcast » 030 : What Gardening Zone am I in? One Response to 030 : What Gardening Zone am I in? Toronto regularly drops below minus 20 whereas Halifax does not. Just try leaving stuff in the ground over winter in TO and see where it gets you. Winter after winter Halifax sees low temps that fall well within the USDA zone 7a range. And by Halifax I mean the city proper not YHZ which is well inland and perched high atop a hill.